Mrs. Tom Jolly was born May 1876 and died June 1967, leaving a heritage of 91 years of dedicated service to others. As Fannie Culpepper she was born in May of 1876 near the town of Warrenton in Warren County, Georgia. Her father was a member of the state legislation and the family moved to Atlanta where she graduated from Girls High School. After completing her formal education, she moved to Nickajack, Georgia, near Austell, to teach in an elementary school for three years. She then moved to the Clarkston area to live with a Carter family. This family was much impressed with her background and qualifications and availed themselves of her services to live in their home and tutor the children in the household. Fannie Culpepper enjoyed her years in the Clarkston community. She like the homey attitude of the people. She became very active in church and community programs. She made her presence felt by her accomplishments. Miss Fannie, as everyone called her, met and married Mr. Tom Jolly, whose family operated a grocery store in Clarkston for three generations. They were married in 1901 and lived together until his death in 1956. They were so fortunate to have been able to celebrate their 55th wedding anniversary. The first Campfire Girls organization in the State of Georgia was organized by Mrs. Jolly. She also organized and met with a group of local young children who were aptly named The Bluebirds. They received many hours of instruction during their nature walks while Mrs. Jolly spoke to them of the history of Georgia. At the age of 72, Mrs. Jolly received her Girl Scout Leader's Badge. How joyous she was of this accomplishment. So again, at this age, she undertook to train young girls in active community work. The Clarkston community was fortunate to have someone of Mrs. Jolly's ilk in their midst--she was a doer. She was a gentle person, soft-spoken and kind. One was not in her presence long, however, before one realized that she had an iron will where education was concerned. Her eyes would snap and she literally breathed fire when any plans for improving education were at a stalemate. Action was her byword--if it wasn't forthcoming quickly she organized groups to get the ball rolling again. To reach an impasse was unthinkable -- action is what she wanted -- and action is what she got. Mrs. Jolly helped to organize the first Clarkston Parent-Teacher Association. 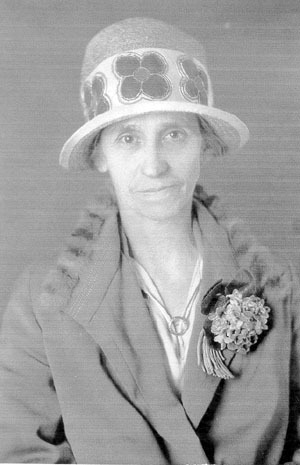 She was named first president in 1920 and served in this capacity until 1927. Mrs. Jolly and her co-workers persevered in their idea to have a high school in the Clarkston area, and finally DeKalb County agreed to permit the Clarkston area to create its own school district. They were also given the authority to issue bonds. A Mr. Eright, Mr. Bryan, Mr. Jackson, Mr. McLendon, and Mrs. Jolly forded the committee that solicited the community's assistance in raising the money for the proposed high school; these same five people then purchased the land on which-the school would be built. A total of $25,000 was raised in the community; $18,000 was allocated for the construction of the building and $1,000 was used for equipment and supplies, including a chemistry laboratory. This building is still standing and now houses many of the facilities of the DeKalb County Board of Education at 3703 College Avenue in Clarkston. During a financial crisis when DeKalb County declared bankruptcy in 1925, Mrs. Jolly and her PTA workers raised $278.25 to pay the teachers' salaries for a month. Progress is measured in terms of development and accomplishment. Only the highlights in the life of this remarkable woman ore given here. Mrs. Jolly instilled in the minds of the children she taught, the desire to learn and to teach. Teaching others, she felt was not enough. It was necessary, she believed, to import knowledge in such a glowing manner that the recipient would in turn wish to teach others. This desire was so strongly taught by Mrs. Jolly that it will pass from one generation to another. She taught others to strive for a feeling of pride in achievement. She constantly sought to ever work toward what might have seemed en impossible goal. Her philosophy seemed to be simply--Try and you will find a way. But action is your only way--to penetrate the sky. You cannot sit around and dream---with all your fierce desire. You have to gather logs and strike--the match that starts the fire. You have to fan the flames until---they blend into a bless. You hove to keep campaigning through---the weary nights and days. If you would move the world, then first---You have to move yourself. Alexander H. Culpepper, d. 12 Oct 1926 in Clinch Co., GA, 23648-H.
12 Jan 2004 E-mail to Warren Culpepper from William Bert Culpepper, Jr. e-mail address. 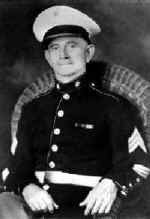 Otis Lee Culpepper, Son, M, Nov 1899 (6/12), S, GA/GA/GA. William T. Culpepper, Head, M, 43, M, md @ 21, GA/GA/GA, Wholesale Grocery Merch. 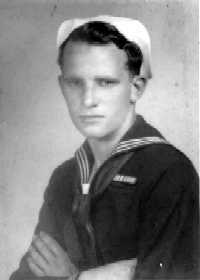 William B. Culpepper, Son, M, 21, S, GA/GA/SC. Linton Howard, Lodger, M, 25, Sng, GA/GA/GA, Bookkeeper/Supply House. 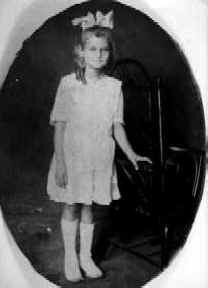 Mrs. Nettie Culpepper, d. 7 Nov 1936 in Troup Co., GA, # 32507. 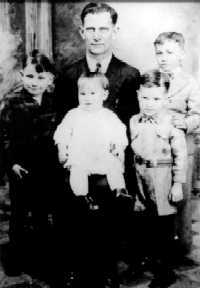 Woodfin Grady Culpepper Sr. and his sons, left to right: Walter, William Randle, Leo Oliver and Woodfin Grady Jr.
Allie Woodfin Culpepper, Dau, F, Wh, 2/12, sng, AL/GA/MS. Woodfin Grady Culpepper, 28 Aug 1920 - 05 May 1996 Co., FL, White, Escambia Co., FL, Cert # 60976. Leo Oliver Culpepper, Cert 14752, Escambia Co., FL, White, 04 Feb 1924 - 01 Feb 1983. William Culpepper, Son, M, Wh, 2 4/12, sng, MO/GA/AR. Woodfin Grady Culpepper Sr., Vol 2126, Cert 6716, Escambia Co., FL, White, Male, died Feb 1960. E-mail written 2000-2007 to Warren Culpepper from Rebecca Anne 'Becky' McClurg Culpepper (#10084), e-mail address. Otis Lee Culpepper, Son, M, 10, S, GA/GA/GA. Ruth R. Culpepper, Wife, F, 29, M, md @ 22, GA/GA/GA. Walter W. Culpepper, d. 15 Jan 1968 at 74 years in Fulton Co., GA; Res. in Fulton Co., GA, 000923. Julius Edwin Culpepper, Leon Co., FL, White, 04 Dec 1896 - 21 Aug 1979. Last Supper Gardens, Row 9 from north end. Julius E Culpepper, 1896 - 1979 "WWI emblem"
Zell M Culpepper, 1911 - 1989. Residence cited in father's obituary. Photographed* circa 1942� He was photographed circa 1942. Maud Culpepper, Wife, F, 27, M, md @ 24, GA/GA/GA. Maude F. Culpepper, d. 13 Oct 1958 at 54 years in Fulton Co., GA; Res. in DeKalb Co., GA, 27490. 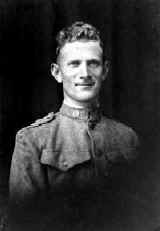 Keff S. Culpepper, d. 3 Mar 1978 at 96 years in DeKalb Co., GA; Res. in DeKalb Co., GA, 006789. Robert, were born there). In 1920 the family lived in Pine Bluff, Jefferson Co., AR (pg 12B), and in 1930 the family lived in Little Rock, Pulaski Co., AR (pg 209B). Atlanta, Georgia, and the date was 21 Aug 1884. The informant was R.A. Culpepper, III (identity unknown to me at present), and he did not give the names of Robert Alexander Culpepper's parents. However, the date of birth is identical to that recorded in Keff Culpepper's Bible, and the other evidence fully supports that Robert Alexander was the s/o Dr. AHS Culpepper and Jennie Riviere. Cites death certificate for Robert A. Culpepper. ED 140, sheet 12, line 70. E-mail from Judith Richbourg Jolly e-mail address to Warren Culpepper, 13 Sep 2003. Erma Culpepper, Head, F, 50, S, GA/GA/GA, Postmistress. Erma R. Culpepper, d. 9 Jan 1966 at 87 years in DeKalb Co., GA; Res. in DeKalb Co., GA, 000327. Photographed* circa 1915� She was photographed circa 1915. Biography* 18 Jan 2019� Edwin Irving wrote on 21 Jun 2010: "My mother was a nurse. A doctor my Mother worked with wanted to send her to Medical School but for whatever reason she declined. Not sure what stage of her life this was. Also, she was married to Charles Percy Brown and had my older sister Charlotte Joyce Brown Irving Pace. He died before she was born so she never knew her biological father and never claimed him to be her father. My Mother later married my Father Emile Macret Irving, a pharmacist. I believe they met at Charity Hospital in New Orleans. Year: 1930; Census Place: New Orleans, Orleans, Louisiana; Roll: 808; Page: 7B; Enumeration District: 0162; Image: 396.0; FHL microfilm: 2340543. Harold J Brown 2 & 10/12 (adopted son). Find A Grave Memorial# 90112243. E-mail written May 2010 -- Jan 2019 to Warren L. Culpepper from Edwin E. 'Bud' Irving, Emery, SD, e-mail address. "Emile M. Irving of New Orleans, Louisiana (son of Louis Irving and Nora Walker) and Allie Culpepper Brown of Mobile, Alabama (daughter of W. G. Culpepper and U. (sic) A. Smith) were married 13 Jun 1936 in St. Bernard Parish, Louisiana." Source Citation: Year: 1940; Census Place: New Orleans, Orleans, Louisiana; Roll: T627_1418; Page: 7A; Enumeration District: 36-50. 12 Jun 1994, The Baton Rouge Sunday Advocate, Page: 6-D.
Woodfin Grady Culpepper, Jr. T/Sgt. 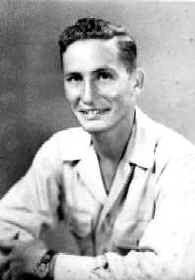 served as a radio operator and gunner in the U.S. Army in the China Burma India Theater, 1942-1945. Woodfin Grady Culpepper married Dorothy Catherine Bronson in 1947 in Escambia Co., FL, Vol 1149, Cert 20877. E-mail written May 2007 to Warren Culpepper from Donald Edwin Culpepper/Richards (#10074), 1129 Park Lane Gulf Breeze, FL 32563, e-mail address.